REFLECTIONS ON "ASHES ON THE GO"
It was clear we were onto something special when people showed up early and kept coming. Their stories were different and yet the same. Almost everyone was from outside our current St. Stephen’s community. Each of them said that they had decided to come after seeing our purple "Ashes on the Go" yard signs and were grateful to find a place to receive ashes. They wanted to begin Lent in a way that honored their traditions, but the circumstances of their lives made it difficult – from being too busy or not ready emotionally to step inside a church. 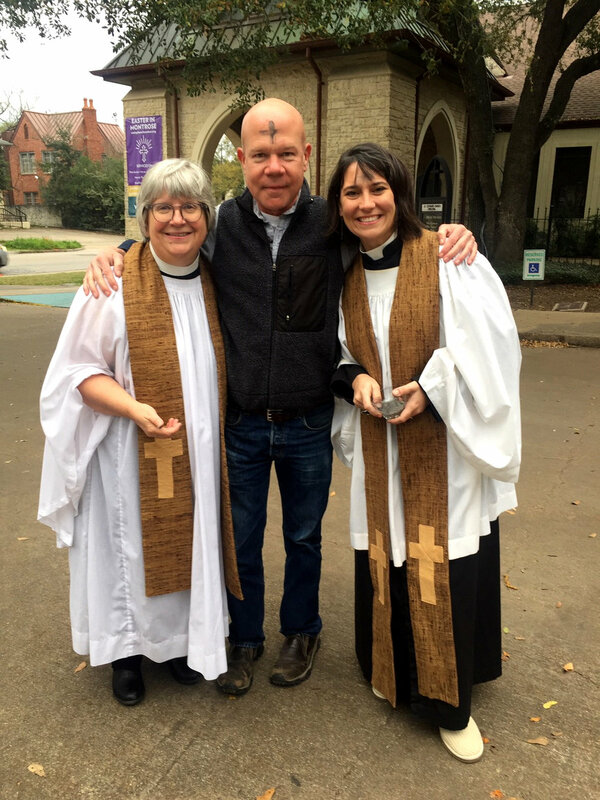 They were thankful that our clergy helped them connect to God and the church from the St. Stephen's sidewalk. Three parishioners who’d attended St Stephen’s decades ago and intimated they might come back. In the end we served 30 people in the morning and 80 people in the afternoon – 110 altogether. Each was grateful that we met them where they were with what they needed. I hope everyone gets a chance to stand on our sidewalk and serve people where they are.